Would you need to submit plans for a pool like this? See the post below. The City of Johannesburg’s Planning Department has confirmed that they have relaxed the by-laws relating to swimming pools and plan submissions. These regulations concern the submission of plans – namely when plans are required and when are they not required. Following up on a query from a reader, Jadie Naicker, we contacted the national office of the NSPI (National Swimming Pool Institute) to find out what they know about the situation. The local Johannesburg manager, Myrtle, said that there were rumours of a relaxation, but that they had put a request to the council in writing for confirmation. By last week they had not had a reply, so she was unable to comment on whether these rumours were true or not. 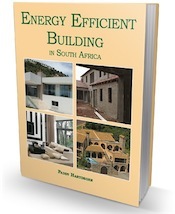 We contacted the City of Johannesburg Town Planning Department and spoke to one of the building inspectors who confirmed that the swimming pool building by-laws were amended at the end of 2013. If your zoning area allows you to build up to three meters from the boundary, then no plans are required, any closer than three meters then you must submit plans. The regulations vary depending on zoning; the zone that the property is situated in. If the property is in a zone that has a building line restriction of three meters then any pool that is built within this three-meter line will need plans submitted. 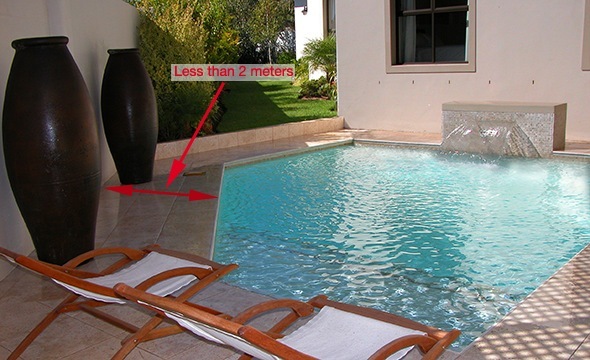 If the pool does not cross any of these boundary lines then plans will not be required. One of the main reasons for this is that the Town Planning Department must scrutinize the site plans and confirm to the building inspectors that there are not any services such as water supply, sewage or electricity supply amongst others that could be affected. Public safety and swimming pools is a National Building Regulation and is applicable whether plans had to be submitted or not. Read more on our page SANS 10400 Part D – Public safety. The City of Johannesburg put forward planned by-law amendments in 2009 to regulate safety around swimming pools in the Johannesburg area. In addition to the National Building Regulations Part-D, extra safety measures were mooted. These include issue of a permit by the Council and the fact that every outdoor swimming pool must be secured with a pool cover or fitted with a floating pool alarm device at all times when the pool is not use. The Council may exempt an owner from compliance with this section if it is satisfied with the efficiency of any other means of protection used. 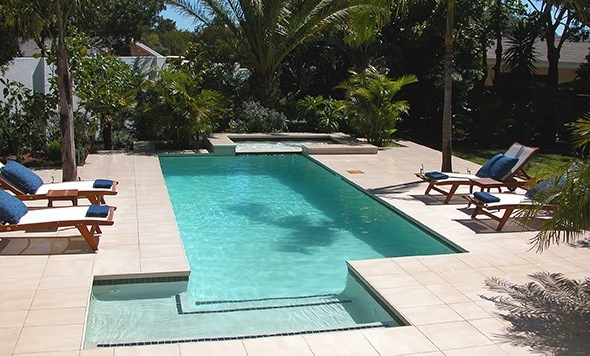 I want to extend my house, however by doing so, the foundation would be close to the pool by about 1.5m. What is the safety regulation that I may dig my foundation, in terms of the angle of influence between the wall footings and the depth of the pool? 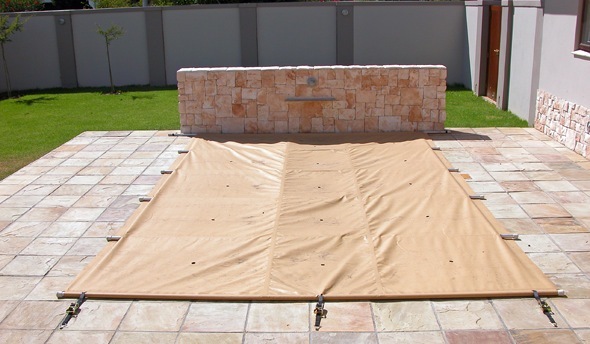 Its is a 2.4m x 2.4m fibreglass splash pool. Hi Grant, This is a difficult one to answer without seeing the site. The best would be to ask whoever you will get to do your plans to do a 1/2 hr prelim site inspection and then advise you. This way you avoid any complications later on that could be costly. From my estimation the swimming pool is less than 1.5 m from the boundary wall. My concern is the fact that the boundary wall is leaning towards my side and thus creating a risk. I also had to extend the wall just for some privacy in my own back yard due to the swimming pool so close to the boundary wall and the increase in the ground level on his side. But the wall leaning to my side started long before the extension of the wall. The wall was build years before the swimming pool was installed, but started leaning after the pool was build. The occupant of the property told me that I have to fix “my” wall. Is it acceptable building regulation to have a swimming pool close to the boundary wall? This issue is not governed by the building regulations. You need to check what the City of Johannesburg’s bylaws state. If the pool has caused the wall to shift, then you have a claim against your neighbour, but you’ll have to take legal steps. Do I need to submit plans to build a koi pond, 1,8×2,8m? I just want to find out about the safety measures that needs to comply to regarding water features. We are putting a shallow “pond/water feature ” next to the house front door.What is the safety rules regarding a pond like this in size and depth that we can do with out having to close it up with netting or fences. There are no specific rules for water features. Only swimming pools require fences, unless there is something in the local bylaws. But I’m not aware of anything. You can find out from the local authority. Is there a law regulating how close a neighbours swimming pool can be to the boundary wall? I have a tree on my side of the wall. They have a swimming pool about 1.5m away from the wall on their side. They want me to take my tree down saying the roots are cracking the pool wall. Is there something that says they shouldn’t have a pool so close to the wall? I’m sure the pool was there when they bought the house. Check with the council. I know that the swimming pool regs in Johannesburg changed. I don’t think they can force you to cut down the tree!